We wanted to simplify our landscaping so that it would be low-maintenance. TJ did an excellent design and once we approved, he and his team did major clean-up of our beds, planted new plants and installed boulders and edging. They did an excellent job. The crew was very professional and hardworking. Greenvista was very responsive and came out quickly to provide a bid. I replaced mulch that had been in a couple flower beds surrounding my home with rock and rocked the side of my driveway. I’m all set for the spring! They completed everything in one day and left absolutely no mess. TJ came to our home several months ago to interview me and develop a landscaping plan for our property. Our home is a walkout, with a steep grade leading down to a wooded area in the rear. I was really delighted with the plan, TJ had taken care to measure and take pictures of the property, and especially paid attention to the plants and color palette I wanted. Plans called for new beds in the front of the house, with new trees, evergreens, bushes and perennials. Beds were edged with limestone, and an unsightly utility box was obscured from view with ornamental grasses. In the back, several retaining walls were created using boulders, and beautiful limestone steps lead down the grade. Plantings around the back include hollies and hydrangea, and many perennials. Twelve additional trees were planted in the back, including redbuds, dogwoods, arborvitae, a hawthorn, a sycamore, and a Japanese red maple. The plan called for the original plants to be transplanted and incorporated so that nothing went to waste. The crew that came and spent a week doing the work were incredible. They were truly nice guys who did a great job, and were a pleasure to work with. They answered all my questions about how to care for the plants through this winter and on an ongoing basis. By the time they were done, everything was spotless – and gorgeous! GreenVista is a great company – I highly recommend them. A great experience start to finish!! GreenVista did my mulch landscaping, spring, summer, and fall trimming as well. They handle my spring and fall irrigation also. GreenVista Landscaping is great! We have used them several times. If you have any problems, they come out right away. The owner is very good at getting back to you if you have any questions about anything. GreenVista handled the complete “restoration” of the landscaping at the rear of our house — creation of a lawn and landscaping of extremely large mulch bed and area around the hot tub deck. Green Vista also does all of the annual maintenance of this area. TJ and Green Vista are wonderful. The “backyard” of our house had always been unusable. Two problems: first, lots of trees and, therefore, little light; second, a very sloped yard. We tried several approaches from various vendors over the years, all unsuccessful. Then we contacted Green Vista. TJ came out and, in a relatively short time, produced a plan that included a substantial lawn that had never existed before and the complete landscaping of the large mulch bed. It worked perfectly. A year later I had a backyard that was the envy of my neighbors. My family and I couldn’t have been happier. Indeed, from that time on I asked Green Vista to handle all of the landscape maintenance needs in the rear of our house. I trust TJ and the company so much that I would have no problem simply telling them to do whatever they think ought to be done without even contacting me about the price. Just wonderful service. GreenVista usually comes out about four times a year. They have done a good job. They are very prompt, professional, and provide good service. I am also going to hire them for the Fall cleanup of the beddings and tree trimming. GreenVista rebuilt the waterfall to our existing pond. They did a great job. After an initial consultation and estimate, they came back out with the pond specialist before they started work. It only took them one day to rip out our existing falls and build a new one, as well as re-stack rocks in our pond. The new fall is bigger, nicer, lower maintenance, and gives us better sound. Initially, we still had a leak in the waterfall after they rebuilt it. It took a couple of visits from them to fix the problem. It turned out to be a liner attachment problem that the pond specialist had only seen a couple of times in the past decade. 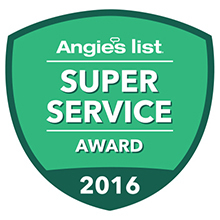 It’s easy to have a good experience when things go well, but I think you get a better idea of a company’s service when there is a problem. We would be happy to use them again in the future. I wanted my yard to be low maintenance. Two years ago Jeff Eiler & his staff cleared an area, put mulch down and rearranged some plants, it turned out very nice. This year he did work on the back yard, getting rid of the grass that wouldn’t grow, too many trees, and put down mulch and stones. Because I wasn’t explicit enough with what I wanted, I wasn’t satisfied so Jeff came out again and gave some good ideas to improve the area, he has always been very easy to work with , and professional. Green Vista takes good care of our pond and dinosaur every year. The fish and velociraptor are very happy with Green Vista’s great service. Jeff is our President/Managing Partner and started with the company in 1987. He is married to Sandy and they have three children and two grandchildren. A lifelong resident of Noblesville, Jeff loves riding his Harley Davidson, taking vacations and playing with the grandkids just like Sandy. 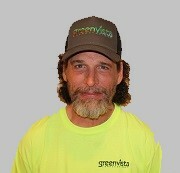 T.J. is our Vice President/Managing Partner and started with GreenVista in 1992. He is also a lifelong resident of Noblesville and graduated from Vincennes University with a Horticulture Degree. He is married to Andrea and they have two children. T.J. enjoys coaching his children in youth sports and family vacations. He actively volunteers with the Noblesville Boys & Girls Club and the Noblesville United Soccer Club and Noblesville Tree Board. Sandy is our Office Manager and is usually the first voice you will hear when you call us. She handles all payroll, HR, Accounts Payable, general accounting and pretty much keeps everyone in line. Sandy is Jeff’s wife and started with the company in 1993. They have three children and two grandchildren with which Sandy enjoys spending time. Her other interests are reading, motorcycle rides, taking cruises and vacations to warm destinations. Brandon is our Lead Construction Foreman. He graduated from Ivy Tech with a degree in Criminal Justice but then joined the company in 2007. His passion is designing a plan on paper and then turning it into reality for our clients. In his spare time, he enjoys riding his Harley Davidson and going off-road with this Jeep. Rob is our newest foreman, joining our team in March 2017. He lives with the love of his life Teresa. He brings 35+ years of knowledge and experience in carpentry, masonry and building fields. Rob grew up in Elwood, and now lives in the Gas City area. He has 2 grown children, 6 grandchildren and has fostered over 30 more children. Rob is an avid fisherman and hunter, and enjoys time outdoors. Mike is our Lead Lawn Application Specialist and is originally from Elwood, Indiana. Mike is married to Jessica and they have two children. He enjoys hanging out with the family, fishing and following local and national sports. Rick is our Installation and Maintenance Foreman. Mark’s responsibility is Community Relations. Mark joined GreenVista after 15 years as general merchandise manager of the Home Court Gift Shop at Bankers Life Fieldhouse. He has over 35 years of customer relations and management experience. Mark has been married for over 35 years and has two children and four grandchildren. He enjoys family time, live music, traveling, and camping.